Are handheld devices replacing parent-child interaction? Smartphones and tablets are a good way to keep young children quiet and entertained, but a recent study suggests that babies and toddlers allowed too much screen time may go on to develop speech delays. The American Academy of Family Physicians explains expressive language as the ability to convey feelings and information. The AAP discourages any type of screen media in children younger than 18 months. One thing is clear: Unsupervised, unlimited screen time is not good for developing brains. 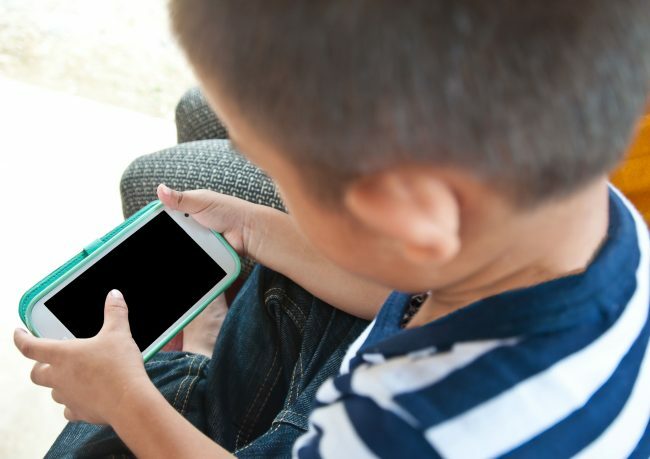 The researchers found that the more time a child spent using handheld devices, the more likely that child was to have delays in expressive speech. To be specific, every 30 minutes of screen time was associated with a 49% increased risk of expressive speech delay. The study was presented at the 2017 Pediatric Academic Societies Meeting in San Francisco. Gadgets like smartphones and tablets are fun, and can be very educational, but they are also associated with stress and anxiety in families that fail to set appropriate boundaries for their use, particularly when it comes to when children can use the devices, and for how long. As a result, many young children are growing up to be completely dependent on technology. According to the discouraging findings of a study published last spring, about 59% of children ages 12-18 are addicted to their smartphones. Yet another study published last fall showed that kids as young as 6 are so glued to technology, that even having a phone, tablet, or computer in the room is enough to prevent them from sleeping. Some adults aren’t much better, let’s be honest. But setting guidelines now may help the littlest ones among us to become more balanced and independent when it comes to technology.